(P1) When Wal-Mart first expanded into the Brazilian city of Campo Grande seven years ago, the economy was BOOMING and executives were eager to open stores. (P2) It didn’t last. At the end of December, the U.S. RETAILER closed both of its Maxxi brand stores in Campo Grande as part of a RESTRUCTURING that closed 60 locations across Brazil, including some Supercenters. Shoppers said the stores could not compete on selection, price, or location. (P3) “It was never clear who Maxxi was for. It wasn’t cheap enough for the poor. But there was no appeal for the MIDDLE CLASS,” said Ordecy Gossler, 40. (P4) Today, Wal-Mart has just one Supercenter left in this city of 850,000 people. It closed another one at the end of the year as sales DWINDLED. (P5) The retreat from Campo Grande is typical of Wal-Mart’s broader issues in Brazil. The LACKLUSTER performance in Latin America’s largest economy shows how TACTICS that helped Wal-Mart build success in the U.S. sometimes get LOST IN TRANSLATION OVERSEAS. (P6) International results have been ANEMIC, despite $22 billion in CAPITAL INVESTMENT over the past five years. Wal-Mart last year made a 4.5 percent operating profit margin from international markets, well below the 7.4 percent return posted from the U.S.
(P7) Seeking higher returns, Wal-Mart CEO Doug McMillon in October announced a strategic review of the company’s global business. Some analysts have suggested that Wal-Mart could exit Brazil, as well as other markets in Latin America where it is already closing an additional 55 stores. (P8) The decline in Brazil is similar to previous Wal-Mart failures overseas, including South Korea and Germany, two markets it ABANDONED in 2006. (P9) In Brazil, it has been hurt by poor locations, inefficient operations, labor troubles, and uncompetitive prices. (P10) Wal-Mart first entered Brazil in 1995 and grew slowly for a decade. That changed in 2004-2005, when it spent about $1 billion to buy two local retail chains. (P11) Brazil’s booming economy in those years convinced executives the biggest risk lay in moving too slowly. (P12) In response, they approved new store sites based on optimistic predictions of future sales. (P13) In a six-year period, Wal-Mart doubled its number of locations in Brazil, reaching nearly 560 at its peak. (P14) The rapid expansion strained the DISTRIBUTION SYSTEM for getting goods from WAREHOUSES to stores. There were also many communication problems. INTEGRATION with the two retail chains that Wal-Mart bought was very difficult. 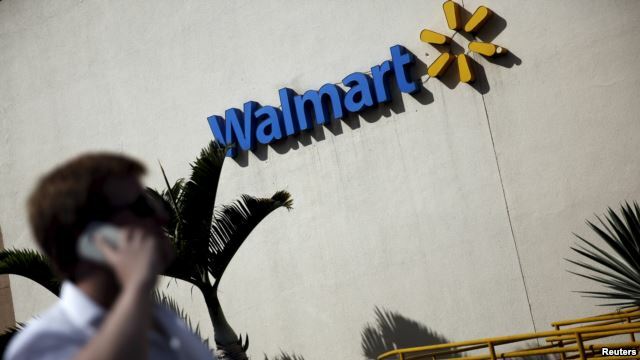 (P15) Wal-Mart also ran into problems with Brazil’s complex tax system and labor regulations. Does Wal-Mart have a presence in your country? Is it successful? What are the most important national retail chains in your country? Do you prefer shopping in big stores or small stores? Do you enjoy shopping, or is it just something you have to do?